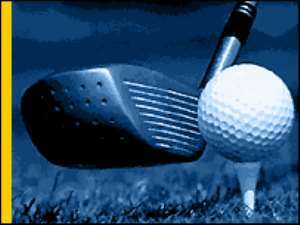 Accra, June 30, GNA - The Ghana Golf Association is on a sponsorship drive to revive its youth development programme started some seven years ago to de-stigmatise the sport as a preserve for the rich and the affluent. Professor Ben George, President of the Ghana Golf Association (GGA) told the GNA Sports in Accra that the idea is to produce a reservoir of talented professionals within the next five years to compete at the international stage and promote the country's image. Currently, the country can boast of only 31 professionals, a few of whom are based in the United Kingdom hoping to chart a new course for themselves. The President of the association hinted that the UK-based Ghanaians are ambitiously participating in a series of qualifiers to play in the British Open next month. He expressed regret that the Ministry of Education, Youth and Sports has not been supportive enough in terms of finances to help popularise the sport especially among the youth. Professor George said the association has over the years relied on philanthropists and some few corporate bodies for its survival and which he said is not the best. He said it is only by investing huge capital into the sport that Ghana could produce the likes of the Tiger Wood's and Duval's. Professor George also urged sports journalists to take keen interest in both the participation and coverage of the sport to put it on the same footing as soccer.